From the left main menu, click on your Username, then select Account in the flyout menu. From the account page select Extras -> API Keys. Your API Key will be listed in the table labeled “Your API Keys”. 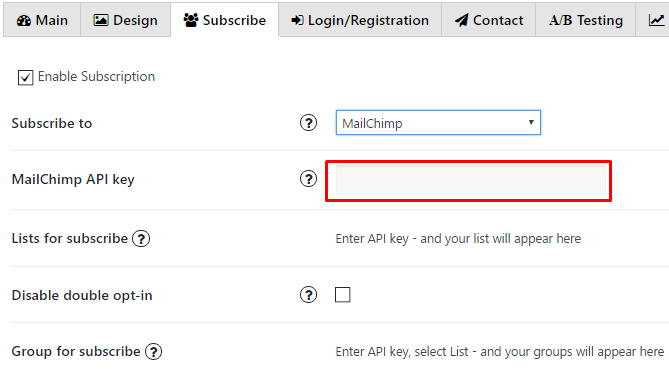 Copy / Paste your API key into “MailChimp API key” field. Note: All information about your subscribers you can find in your MailChimp account. Go to your Lists and choose the one that you specified when customize the subscription option of popup. Besides, here you can skip the step of confirmation the subscription – with Disable double opt-in. It will create subscriber directly after he will sign-up to your form. There is also a possibility to select Groups for subscribe – your new subscribers will be added to selected groups. 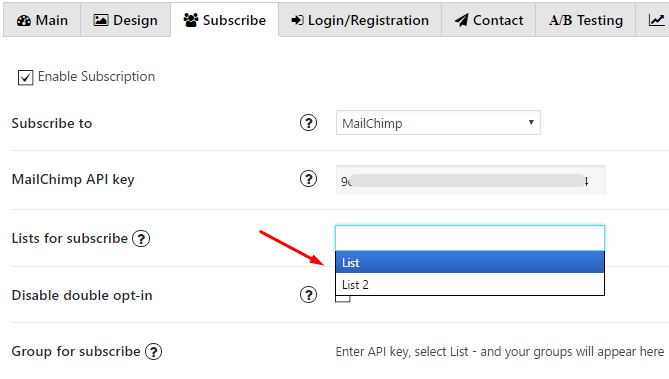 Go to your MailChimp account and open the list you want to add custom fields to. 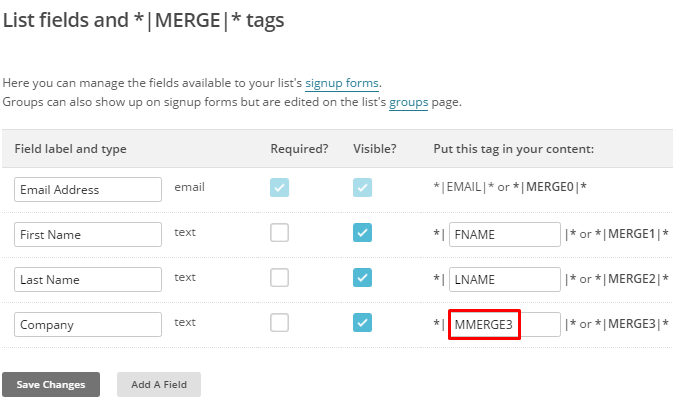 Go to Settings and choose List fields and *|MERGE|* tags in dropdown menu. Click Add A Field button and select field type. 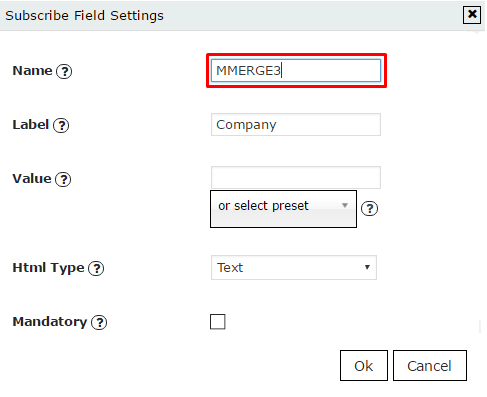 Insert field name, copy its tag and save changes. Add label for this field, click ‘OK’ and save changes. 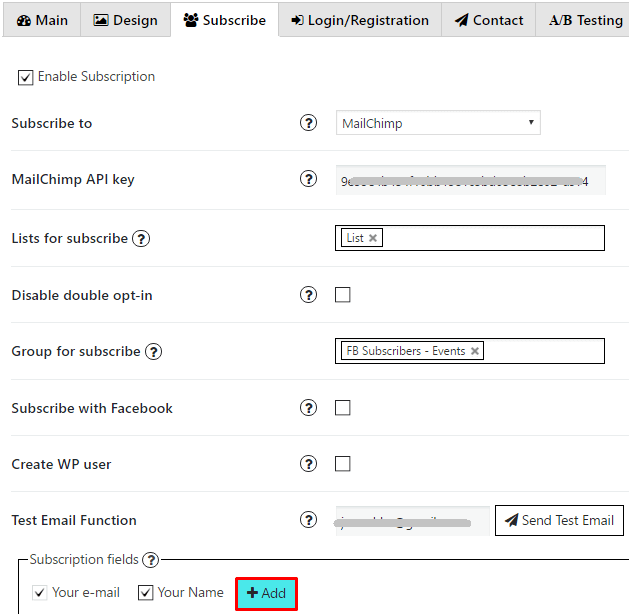 Also, check the articles about MailChimp Group List and MailChimp List.